The shidi chi vaat is more thrilling and adventurous and much shorter than the Ganpati Ghat. We recommend the Ganpati Ghat as the route is easier (bit longer) but much more scenic. The path is well defined and the chances of losing way is next to impossible. 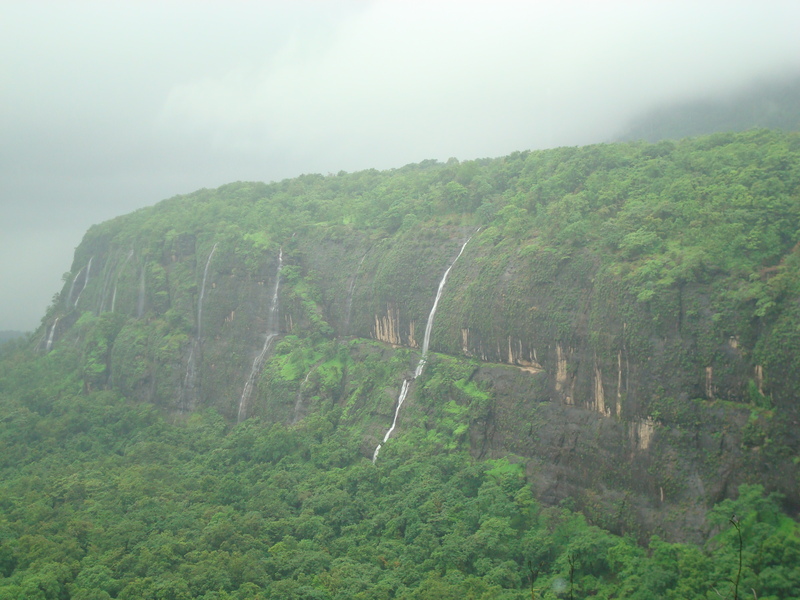 Availability of water & Food (along the route and at the top) The ideal time to do this trek is in the monsoons as the valley sightings on the way is extremely beautiful. However, this trek can be done anytime upto february after which availability of water on the way is scarce. During the peak season there are some stalls on the way that sell basic food like poha and tea etc. Duration of trek:Shidi chi vaat takes around 4 hours. Ganpati Ghat around 5 and a half hours if walked continuously. Special Points to be seen: Several points on the way. Valley sightings are amazing. The waterfall on the ganpati ghat route is really amazing.